Forced to partner up in Fast & Furious Presents: Hobbs & Shaw, Dwayne Johnson’s “Luke Hobbs” and Jason Statham’s “Deckard Shaw”, two sworn enemies, must somehow set aside there differences in order to bring down Idris Elba who plays the movies big bad villain. Ever since Dwayne Johnson joined the franchise in the Fast Five the franchise has seen it’s best results in terms of box office returns. David Leitch who directed Deadpool 2 and co-directed John Wick takes the helm of Hobbs and Shaw. 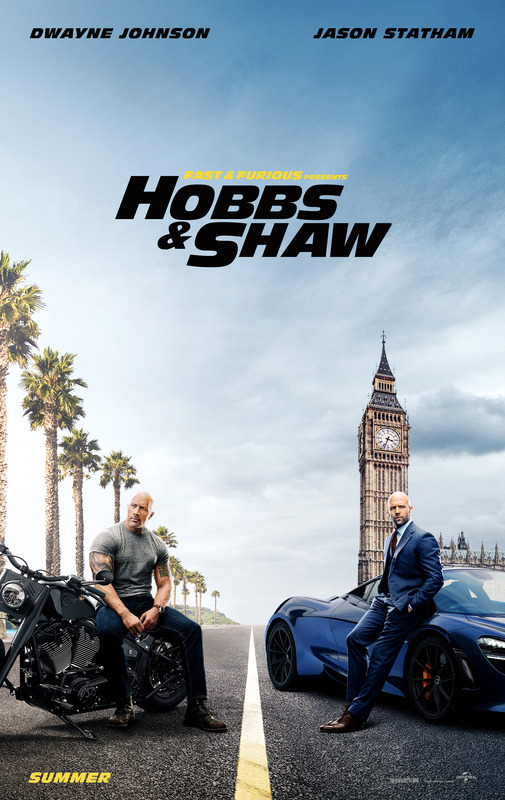 Hobbs and Shaw can easily be looked at as a buddy cop movie with a tone and feel that reminded me a little of Lethal Weapon meets Tango & Cash. While watching the trailer I found myself laughing and loving the action all while noticing the movie doesn’t seem to take it self to seriously, something I find appealing when it comes to action movies. I’ve never been a big fan of the Fast & Furious movies, but after watching this first trailer for Hobbs and Shaw I found myself very much on board. I may even go back and watch Fast and Furious 6, 7 and 8. Fast & Furious Presents: Hobbs & Shaw hits theaters on August 2nd.